Between our regular grocery trips, my in-laws trees and our CSA fruit share, we have an overabundance of apples. 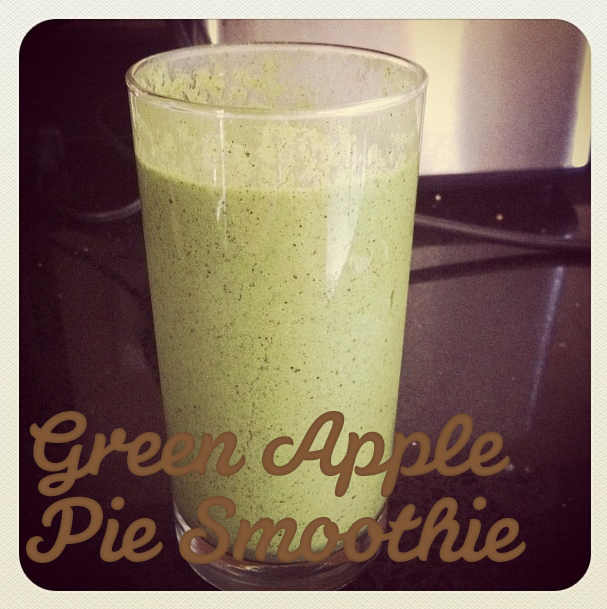 Of course I have been busy making crockpot applesauce any chance that I can get; however, our new favorite way to enjoy the fall harvest has been Green Apple Pie Smoothies. Matthew has been teething since Luke’s arrival and loves a cold, refreshing smoothie mid-morning. This morning was no exception. Combine all ingredients in a high speed blender and blend until ice is crushed and all ingredients are incorporated.